I found out this weekend that I won a drawing for a $10 TpT gift certificate. Needless to say I was so thrilled. I bought the most amazing goodies with the gift certificate and cannot wait to use them! Thank you so much to Lauren over at Kinder-Friends. If you haven’t been to her blog, head on over and check it out! I already used one of these containers for my brain breaks. I went through my ribbon supplies and found a piece of ribbon that looks like a tape measure. I had just enough to go around the can one time with about 1-in. of extra ribbon. I just knew it would be a good accent for my ruler container. I used my Cricut to cut the letters onto yellow paper. I used black pen to create a stitching effect on the border of each letter. Most of my rulers are at school, but this gives you an idea of the size of the container. Inside I have about 28 dividers. They are numbered so they can be re-used each year. I have a page kept in the front as a handy reference for my student numbers. I also keep the student information sheet that the families fill out at the beginning of the year as well as the permission form I give out to place student photos on my classroom website. 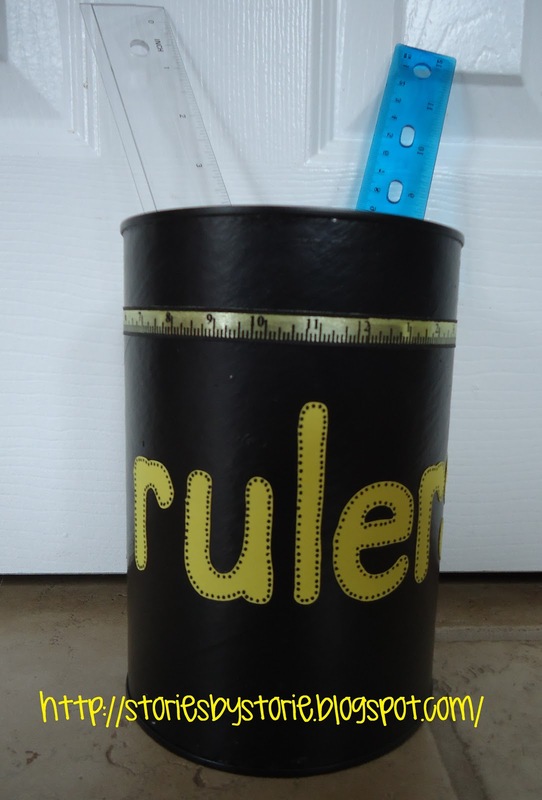 I love your ruler can! Love the idea of a parent communication binder! I may have to try that this fall. I love your binder ideas, especially the parent communication folder!! Great job on everything! Can't wait to see more of your math workshop binder! 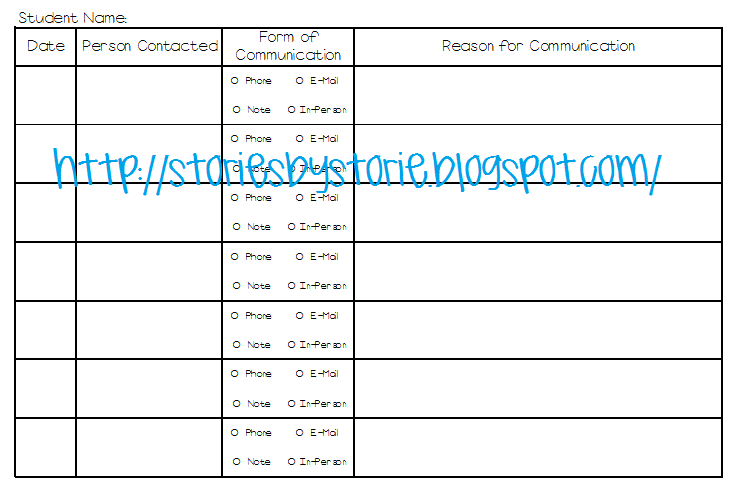 I loe the idea of having volunteer sheets for special projects or tasks! What a great idea to keep them with your communication logs. Would you be willing to share the volunteer sheet! I am always looking for a better way to find geat helpers! Thanks for the shout out! I'm happy you enjoyed it! !